The year is 1525. Michael and Margaretha Sattler have fled their religious orders. Their quest: restore the church to the purity of its early days when communities of believers practiced peace, compassion and sacrificial love. The Sattlers join a group called the Anabaptists and together challenge the 1,000 year control of the Church by the State. They call for baptism to once again become, not a mark of citizenship, but an adult and voluntary decision to follow Christ. As their movement grows, so does the determination of their enemies to stop them...by any means necessary. WARNING: Contains some graphic depiction of historical persecution. Viewer discretion advised. Fullscreen. For more information on this program, please visit www.theradicalsmovie.com. I first developed an interest in this film because of my interest in the career of Norbert Weisser, the lead actor who plays Michael Sattler, and I wanted material for the Official Fansite I do for him. I came away with a deep appreciation for the story, the characters of Michael and Margaretha Sattler, and the people that brought this film to reality. The love story is probably the most well acted and believable I have ever seen. The on-screen chemistry between Norbert Weisser and the beautiful and gracious Leigh Lombardi is a tangible thing. The story of their faith, their beliefs and the inner courage they had is even more powerful. The supporting cast is fabulous --from Mark Lenard as Eberhard Hoffmann, to Christopher Neame as Ulrich Zwingli, Daniel Perrett as Wilhelm Reublin and Jerry Nelson as George Blaurock -- everyone turns in terrific performances. However, I must say that I am partial to Norbert Weisser as Michael Sattler -- he brought forth such a wonderful sensitivity to the character of Michael Sattler. Norbert often plays a villain on the screen, but his quiet and calm manner as Michael was exceptionally well acted. 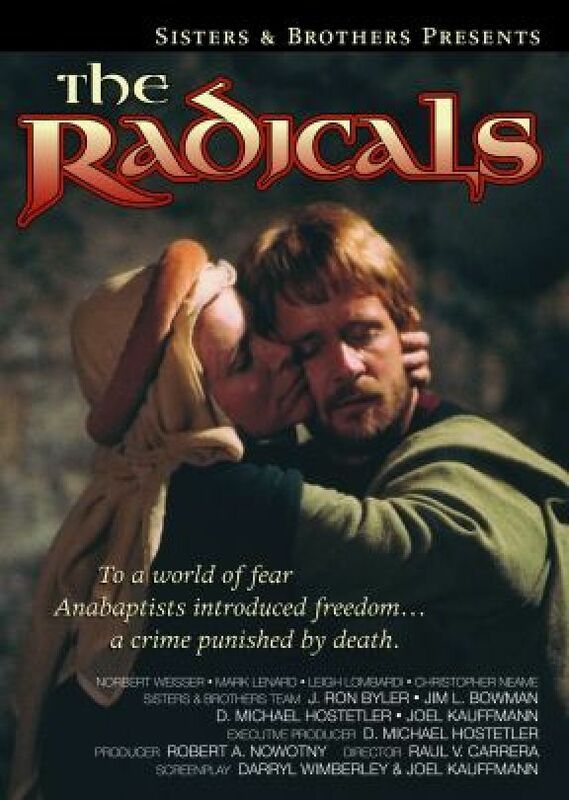 Even though I had limited knowledge of the Reformation and the Anabaptist movement, and had never heard of Michael and Margaretha Sattler, I got so caught up in this film that I developed a 20th Anniversary commemorative tribute for the film. I also designed and developed an entire website based on the film, the historical characters and the location -- the film was that well done, watchable and memorable. The entire cast and crew really pulled off an under-rated masterpiece with this film that is enjoyable on many levels and one you will want to watch over and over. 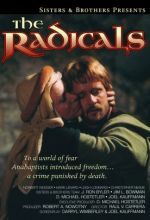 Yes, this is a faith-based film, but it is also a well written and produced historical film, a love story that rivals the best of them, and a testimonial of having the inner courage of standing true to your beliefs no matter what the price. You will love this movie! This is a very heartwarming DVD. This story was inspirational and moving. It gives a insight to what the early church faced and what many Christians face even today. When given a choice between the following Christ or the world even to the point of death in the light of eternal life their is only one difficult choice for a true Christian. As a born again believer who is humbly trying to live out our Lord's directives in scripture, I found this video disturbing. The disturbing areas being the profanity used as well as the love scenes, though giving a very realistic touch to the video, the fact that the actor and actress were not husband and wife left a sorrow that they were willing to defraud each other and their spouses by the scenes portrayed. Very dissappointed. I agree much with the reviewer that did not care for the way this movie was made. They did not need to do the bedroom scene or include the swearing. The acting was slow. Excellent costuming and photography. The creepiness of the opening march song and the winter outdoors lent excellent character to the movie but did not seem to continue. I found myself doctrinally unsympathetic but humanly very much so. 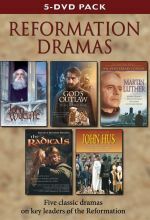 Useful to have this movie with the set of Reformation Overview, but if planning to purchase, I would first see if it is in your church or public library and not spend the money. One watching, skipped through, is enough for me. We consider this one of the best films ever done by anyone. Michael and Margaretha Sattler were truthlovers, truthseekers Bereans who searched the Scriptures and sought God for greater understanding. They were also so much in love with God that compromise with the world's political system was not an option. They were a Christlike couple who, with numerous others, were murdered by compromisers whom Michael called "Turks of the spirit" who were just as lost as those "Turks of the flesh" who were then invading Austria. The ten second part where Michael is executed is a bit graphic, but a good intro to what often happens to us when we take up our crosses and follow Jesus.